All are welcome to celebrate Easter in the Forum Room at 9:30AM. We will have food, fellowship, and fun for all! 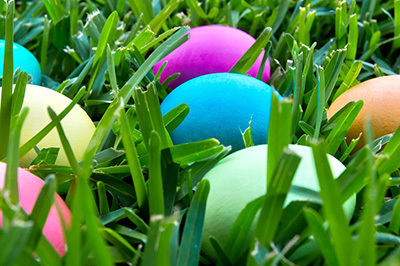 Our annual Easter Egg Hunt should begin around 9:40 AM. Gather in the Forum Room, and children will be invited into the churchyard by age groups. The egg hunt organizer has devised a genius color-coded system to ensure that each child searches for and finds a dozen eggs. Bring your Easter baskets to hold the treat-filled eggs that your child will find.